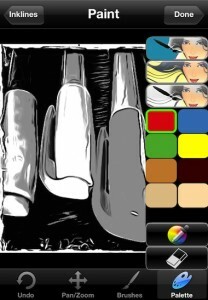 An update today to ToonPaint reminded me that I should mention the features it brings to your iPhone Photos. 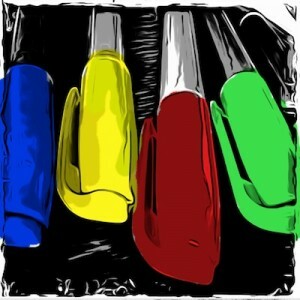 The update included better sharing of your photo creations on Twitter and Facebook, as well the resolution was upped to match the capabilities of the iPhone4s. 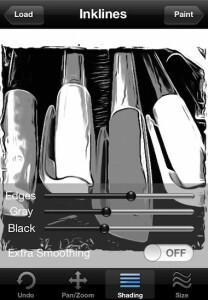 Then, through the color pallet of minor options or ToonPaint’s open color picker you paint color onto images to highlight as needed. For the right picture, a bit of unique painted color is striking.